What a great Indie month. Such an amazing challenges. I really enjoyed making all my entries and so lucky to be a winner of a few prices. After all the sewing last month it was time to slow down. I decided to make a complicated jeans with lots of details. Zippers in the front pockets, extra darts and a lot of top stitching . I decided to make a toile first because I wasn’t using my TNT jeans pattern. Sadly the fit was very poor. I couldn’t work out what was causing the problem. So I decided to make something else. Something that I needed more than a new jeans. 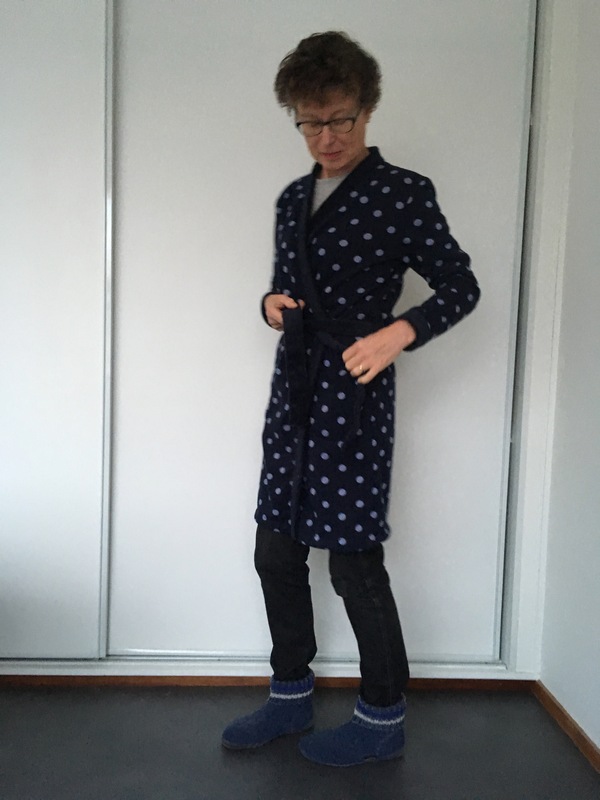 On my to-do list I still had a new morning robe. Bought the fabric at the beginning of this year and still haven’t started to make it. Great make for this challenge. 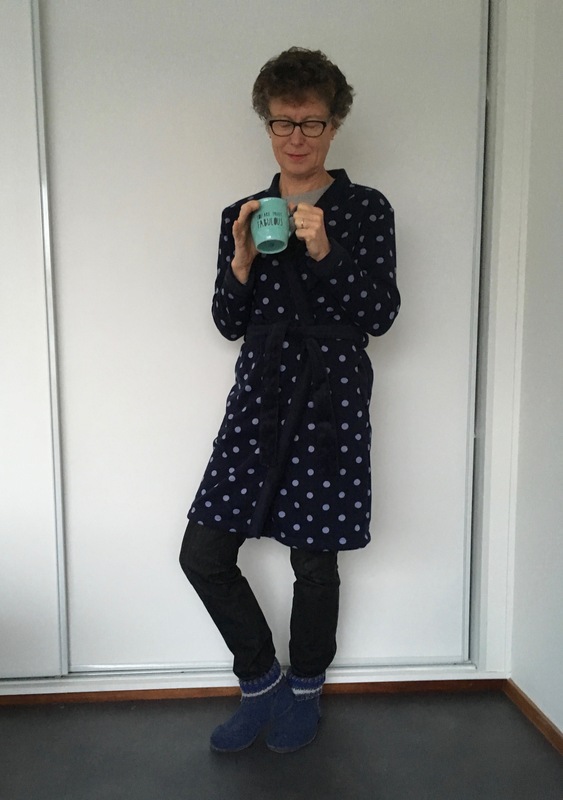 The morning robe is made of a free pattern from Peppermint Magazine: the Slouchy Cardi. First I altered the pattern a little bit. I added a tie-off belt, the model of pockets are altered and also added 5 centimeters to the front pieces. 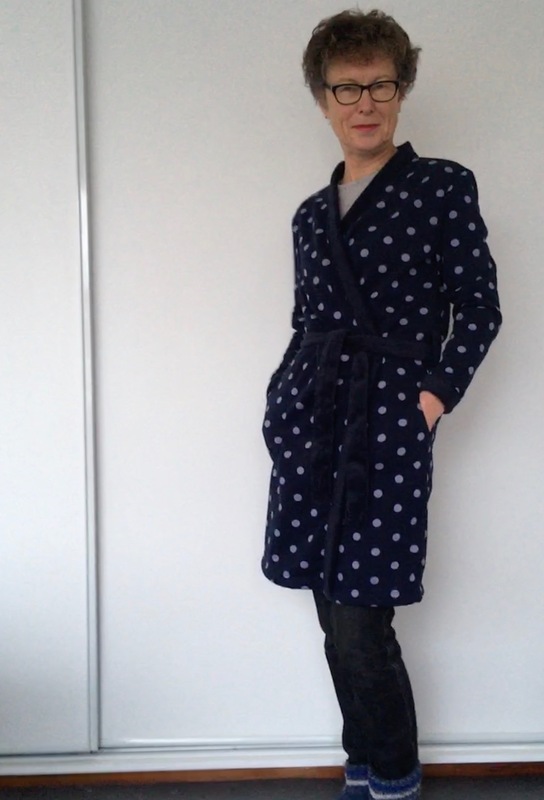 The morning robe is made of a polkadot wellness fleece fabric. Cutting is done with care because I wanted the dots run trough. The sleeves are finished with cuffs made of the soft ‘wrong’ side of the fabric to add some contrast. 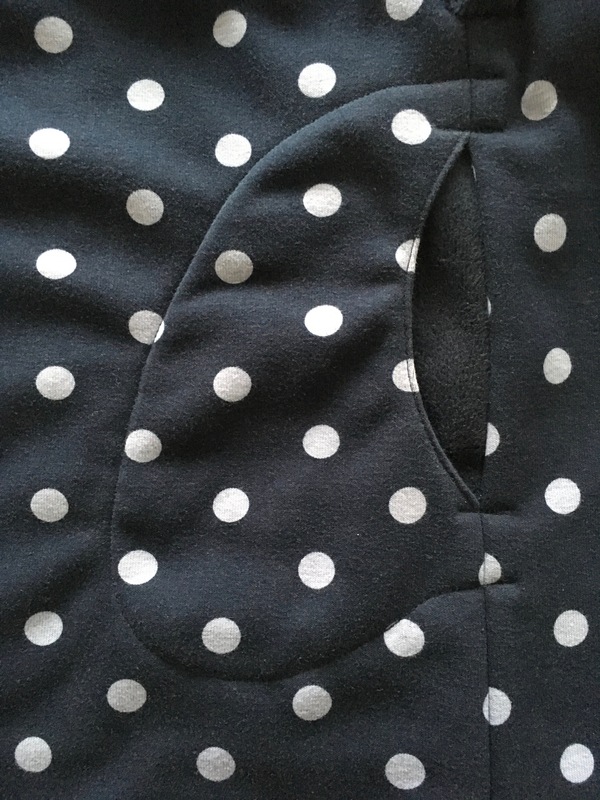 The same is done with the neckband, belt, belt loops and pocket facing. Although it seems easy to make the fabric was a kind of a nightmare. Stitching the wellness fleece wasn’t always that easy. Two layers isn’t the problem but more layers are and then there’s the directional nap that also can cause some difficulty.